after a hot day, here you have some suggestions for tonight in Ibiza…. Blue Marlin “Official Opening”…. 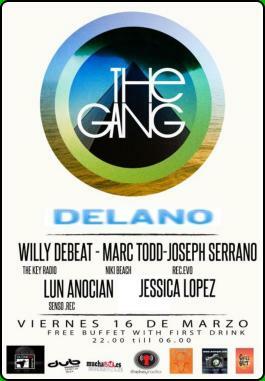 with the music of Vidal Rodriguez… till 03.00 a.m.
Delano Beach …from 22,00 till 6,00.. Music with Joan Vidal, Alex Andre, and JP Cronic..
Have a nice night and enjoy Ibiza!!! Hi Faruk, what is the KU project, who created this project and how is it working ? The KU Ibiza Best Years project is a facebook page intended to immortalize the KU disco of Ibiza in all it’s glory. I created this page because amazingly this very important piece of Ibiza’s history had been almost entirely erased and replaced by a lot of false information about the origins of the island’s clubbing culture. I have had an incredible inflow of gratitude and support since opening Pandora’s box and a large portion of it coming from young people interested in learning the truth. How has Ibiza changed during the past 20 years, how was the night and, how was the people ? 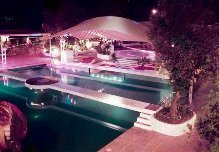 Due to the success of the KU disco, in the mid 80’s, Ibiza rapidly became known as a paradise party island attracting living legends, jet setters, imaginative freaks and free spirits who had found a place where they could openly live their dreams. In the early to mid 80’s, the night was ruled by creativity and generosity. For example, all opening and closing parties were 100% free for everyone, the party themes were different every night, the posters and decorations were works of art, the mix of music we played couldn’t be heard anywhere else in the world and, although no one had much money, everyone made an effort to dress up and bring their love and gratitude to our parties. At the end of the 80’s, the anglo-saxon promoters caught on to this potential gold-mine. They invaded the island and began promoting their DJs playing their music, imposing their party ideas, importing their tourists, their structure and their philosophy. 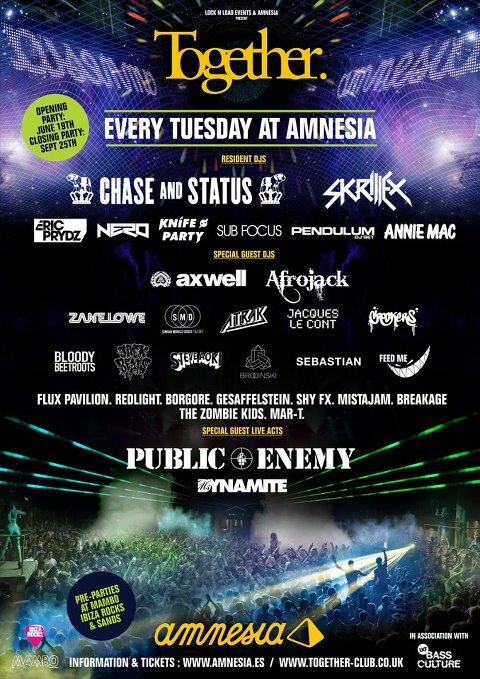 By commercializing and capitalizing on the “Ibiza” mark, they changed the whole scene. Which are the future project of KU Ibiza? Today, there is a reservoir of amazing electronic music being pushed under the rug, the sound systems are better than ever, the visuals are more advanced, the universal consciousness is shifting towards love and respect and, the positive energy of the island is just as strong as it was before. These are all the ingredients needed to put the scene back on track with a new generation of parties. Week end in ibiza and more! 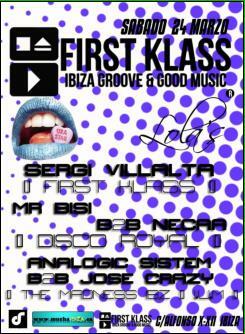 Lola’s : First Klass, with Sergi Villalta and more…. 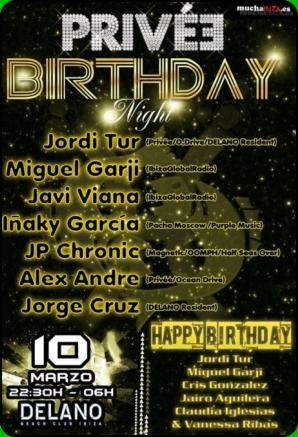 Pacha Hotel: music with Joan Ribas and friends.. from 22,00…. Have a nice Saturday night and sunday morning!!! … here you have a picture of David and Luna! Now, let’s talk about this week in Ibiza, some news for Thursday night. 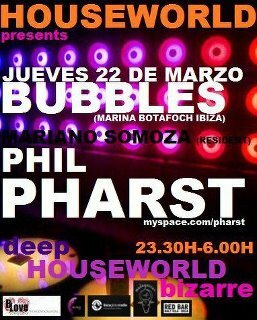 Let’s start with the Bubbles, where Houseworld presents: Phil Pharst and Mariano Somoza, from 23,45…till…. 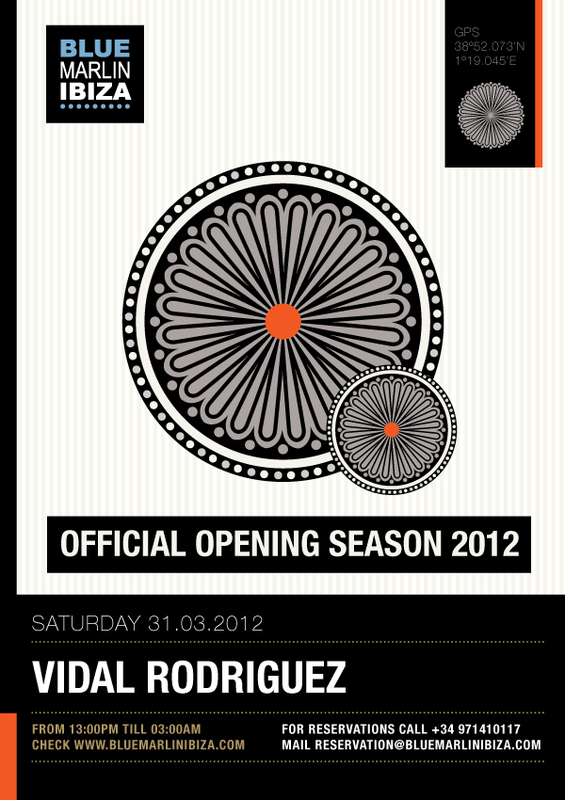 Something different..at Teatro Pereyra: Miguel Iribar presents:”Cocktail de risa” From 21,30 till 0,30. Enjoy yourself and I hope to have the opportunity to write another article…. 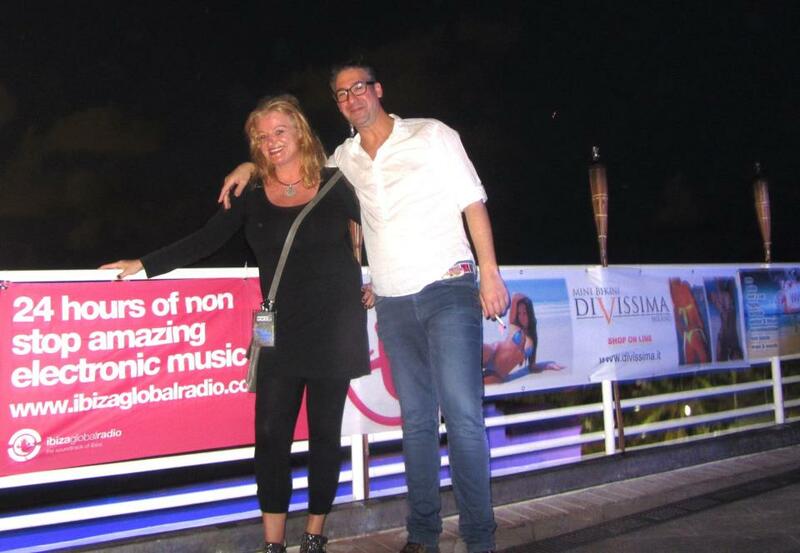 Hi friends.. a fast party calendar for today and tomorrow in Ibiza… Tonight Picaro club, Playa d’En Bossa : Dinner and music with Dj David Moreno from Ibiza Global Radio. From 20,30 until 3,00 Bubbles. Houseworld promotion presents: “Deep houseworld bizarre” with Dj Mariano Somoza and Dj Pippi, from 23,30…. Tomorrow (friday) Pacha Hotel: from 23,00 a music session by Dj Joan Ribas Sushipoint Ibiza Art exposition “Boke s Bite collections” and music with Dj resident Mariano Grande and Special Guest David Oleart Delano beach “The beach” from 22,00 until 6,00 with Willy The beat – Marc Todd- Joseph Serrano Shardana club : aperitive in music from 9 p.m. with the sound of Jonathan Tena, Ivan Escura, Lun Bubbles: music and sounds from 23,30 till 6,00 More news for the week end tomorrow! 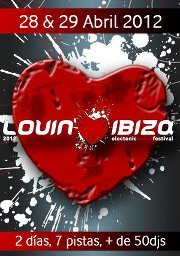 Sooner I’ll talk about the “Lovin Ibiza electronic music festival”,that will be the 28th and the 29th of april 2012 Ciao! Hi Friends, I suggest you two parties in Ibiza… Tonight at Sushipoint Ibiza in Marina Botafoch was organized a special night called “Rouge”, with the music of Dj Havi Mad Dog Herrera from 21,00 until midnight… Tomorrow at Bubbles (Marina Botafoch) Bordello deluxe with the music of Luigi Bonito & Luciano Nieto from 00,00 until 3,30 and Mehdi from 3,30 until 6,00 More news soon! Good night. 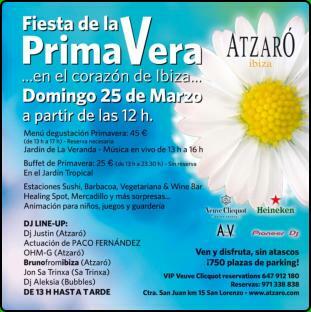 Dear friends, here you have a party calendar for next days in Ibiza. Wednesday Bubbles: What’s up booking presents :”Bordello deluxe @ Bubbles Ibiza” from 00.00. Music of Joan Vidal (from 00,00 until 03,00) and Luigi Bonito (from 03 until 05,30). Thursday La bodeguera & Deep Houseworld bizarre presents: Dj Sergio Mussa/ Pre noche from 21,30 until 00,30. Bubbles: Houseworld and Fernando Pablo Link presents: Houseworld bizarre with the music of Mariano Somoza and Tuccilo, from 23,30 until 6,00. 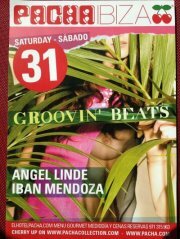 Picaro (Playa d’en Bossa) “Fiesta de las mujeres” from 20,00 until 3,30 with Dj Iban Mendoza. 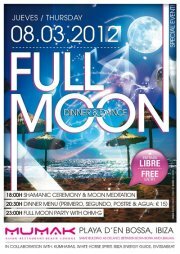 Mumak beach (Playa d’en Bossa) : Fullmoon dinner & dance opening from 18.00 until 4.00. The program: 18:00 Shamanic Ceremony & Dance + Moon Meditation 20:30 Dinner Menu (Primero, Segundo, Postre & Agua: 15 Euros) 23:00 Full Moon Party with Ohm-G Friday Shardana: Aperitive in music, from 21,00 until 03,00 with the music of Jaime Fiorito and Camilo Miranda. 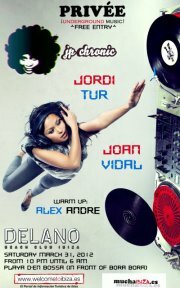 Sala Aramon (next Plaza del parque) “ Tribute of house” with the music of Pablo Hernanz and Sergi Villalta. 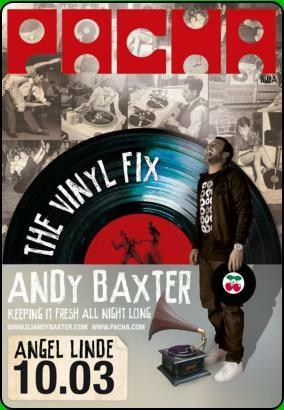 Sushipoint Ibiza: Funky Fridays” with Dj Javi Mad Dog from 21,00 until midnight Pacha hotel: Music and sets with Joan Ribas Saturday Pacha presents : “The vinyl fix” with Dj Andy Baxter. 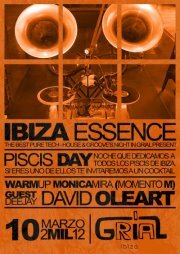 Grial : Ibiza essence, from 00,00 until 06,00 with two dj’s: Monica Mira and David Oleart (a free cocktail for all the guest with zodiacal sign fish…). 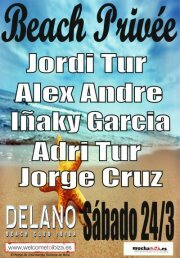 Delano: from 22,30 until 6,00 “Priveè birthday” with the sound of Jordin Tur, Miguel Garji, Javi Viana, Inaky garcia, Jp Cronic, Alex Andre and Jorge Cruz. If you like to receive daily news you can also join our fan page on facebook. 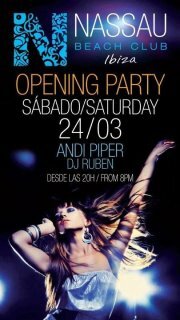 This is the link: http://www.facebook.com/pages/Ibiza-by-night/310694555649875 Soon I will give you more news from Ibiza, have a nice week.